Odds are, if you don't follow gaming closely and you weren't a Kickstarter Backer for this particular title, you'll need to hop into your time machine and travel back two years in order to remember this thing. 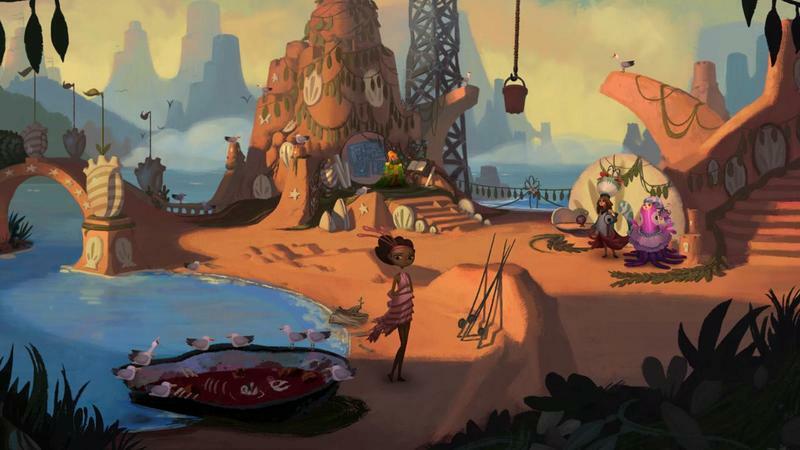 Broken Age is the nearly-end result of the Double Fine Adventure Kickstarter project that made millions almost two years ago. It set records, demolished expectations and proved that Kickstarter was a totally viable way to get a ton of money raised from gamers to make video games. We say "nearly-end" because the title had to be split into two acts in order for Double Fine to earn enough money to finish it. Yep, you read that right, they blew through their more than $3 million dollars raised during development and had to split the release to make ends meet. Now, I'm going to put this at the top of the review for your consideration. I backed this game. I didn't follow it in development, but I contributed to getting it made with my own money. Perhaps that affected my opinion of the title, I don't know, but I wanted you to be aware that I may have an odd view on this thing because of my choice. We'll score it like normal, but understand that I'm a fan of Double Fine and point-and-click adventures. Also, we're keeping this one plot-detail free. Read on, those afraid of spoilers, and fear not! If that $3 million dollars raised went in any particular direction, I'd have to say it was largely split between art and audio design. 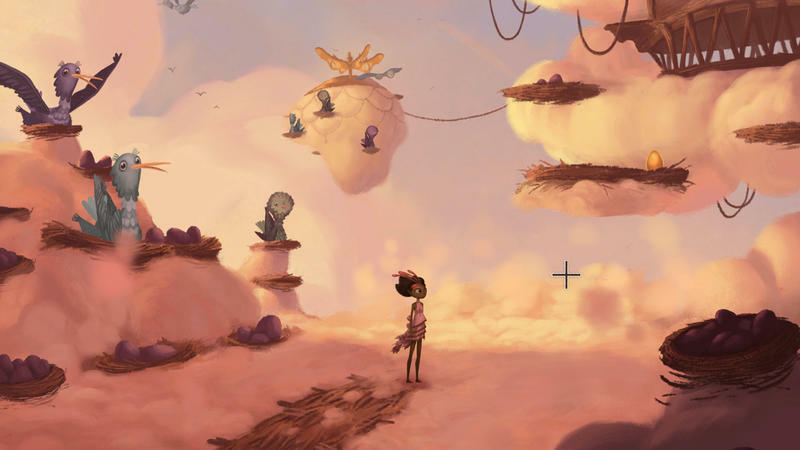 Broken Age's visual and aural qualities reek of high-production value, and that makes this one of the smoothest experiences I've ever pointed-and-clicked my way through. The whole world is hand-painted, and that extra care gives all of the environments and characters an extra layer of charm that borders on irresistible. It looks like a Double Fine game, complete with oddities and humor, but there's this leveled up feeling of production that makes it seem even better. Then there's the audio. 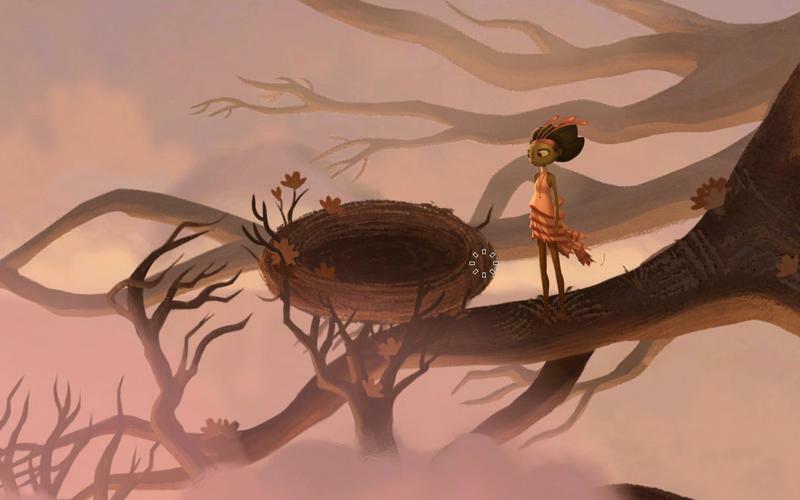 The music for Broken Age is arresting. It's whimsical at the right times, epic at others and adventurous to boot. The soundtrack was available to higher tier backers, though I opted to skip it, and now I'm a bit remiss for doing so. They nailed this one. But, really, the voice acting. The voice acting is some of the best I've heard from a game in a good long time. Elijah Wood, Jennifer Hale and even Jack Black stud the roster of talent lending voice work to this odyssey. The resulting group of all stars work together to weave a pile of speaking scenes that are actually a joy to listen to rather than a chore to endure. If you play a lot of adventure games or, heck, gave Telltale's The Walking Dead a try, you know that you often hear the same lines over and over and over again throughout play. Bad voice work can make those scenes even more grueling than they should be. 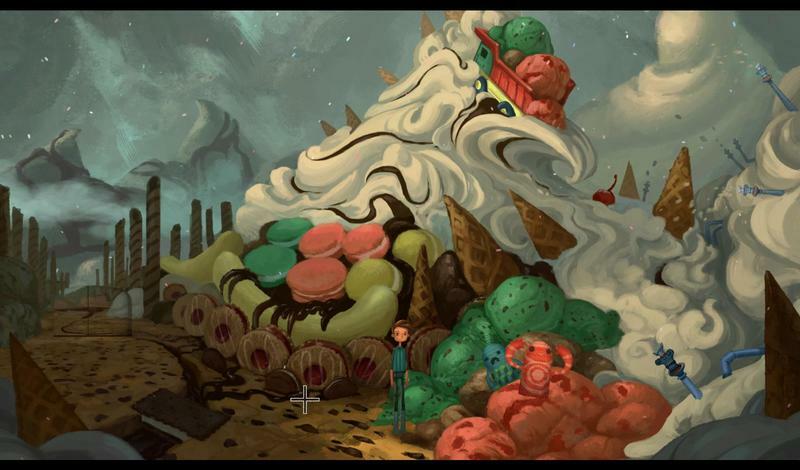 In the case of Broken Age and its rare lot of repeats, the reverse is true. Characters are charming and funny, and moments are elevated thanks to the trifecta that is this game's art, music and voice design. 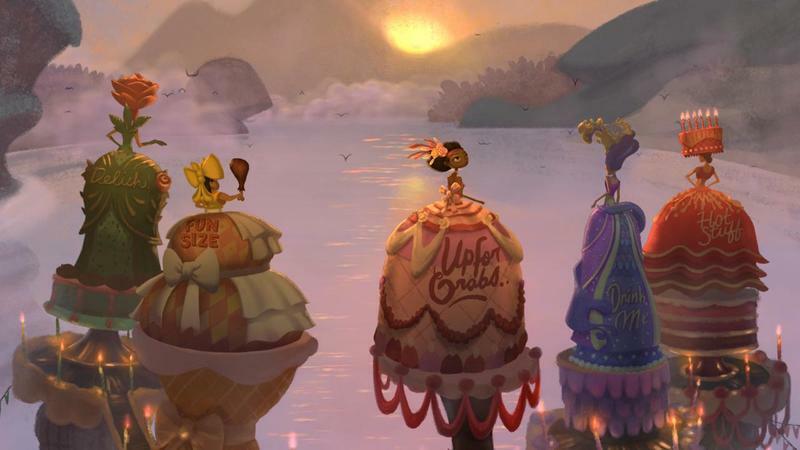 Leading up to the release of Broken Age, there must have been this perception that the game would break the point-and-click mold of repetition and guesswork. Those two negative elements are at home with adventure games, and anyone who's spent even a small amount of time in the genre knows full well that you have to wade through a little monotony in order to get to the glorious stuff. 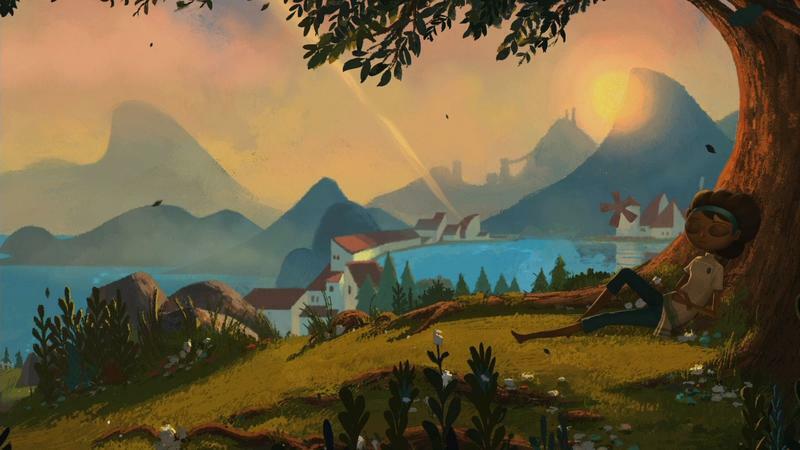 Now, look, as far as repetition and click spam goes, Broken Age is actually really good about presenting each facet of play as little as possible. Even at points when you forget an object and have to backtrack across almost all of the environments at once, the game is fast and skippable enough that these headaches are minor. That pre-release perception, though? People are complaining that this point-and-click adventure game has too much pointing and clicking. Really? 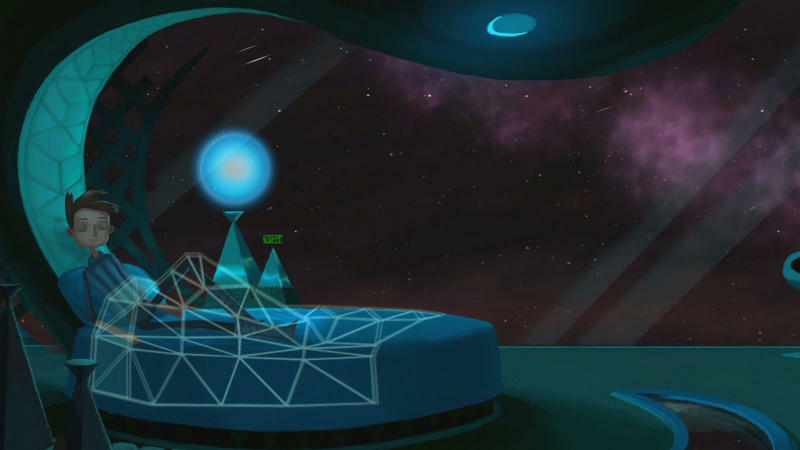 That's the genre, that's what you signed up for, that's what Tim Schafer and Double Fine aimed to build. 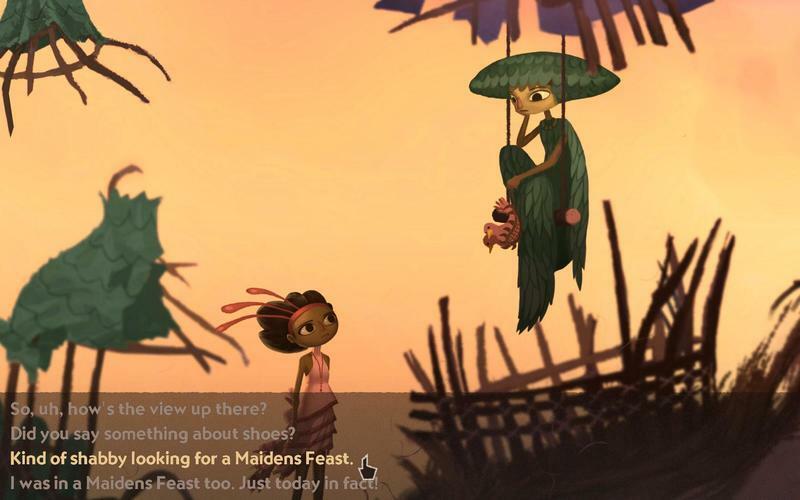 Broken Age is a traditional point-and-click game with exceptionally high production values and a wonderful set of characters forming a brilliant, so far, plot line. If you don't like point-and-click efforts, understand that you'll be met with that genre's characteristics on the way in. 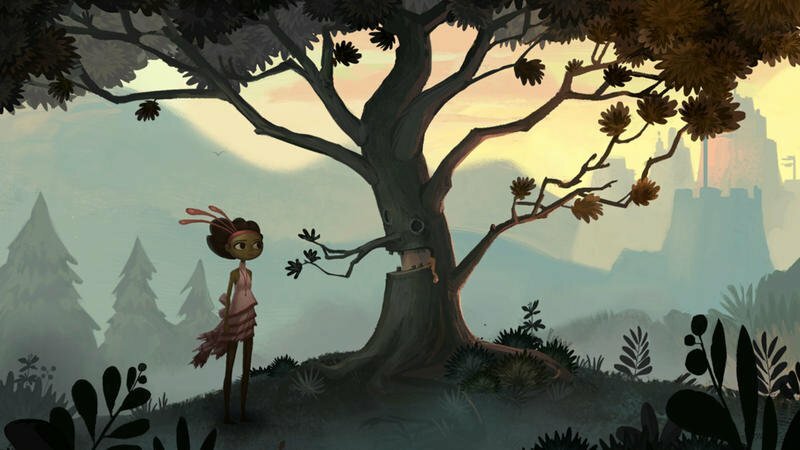 Now, if you enjoy these types of games, like I do, know that Broken Age stands among the best and most approachable in the genre. 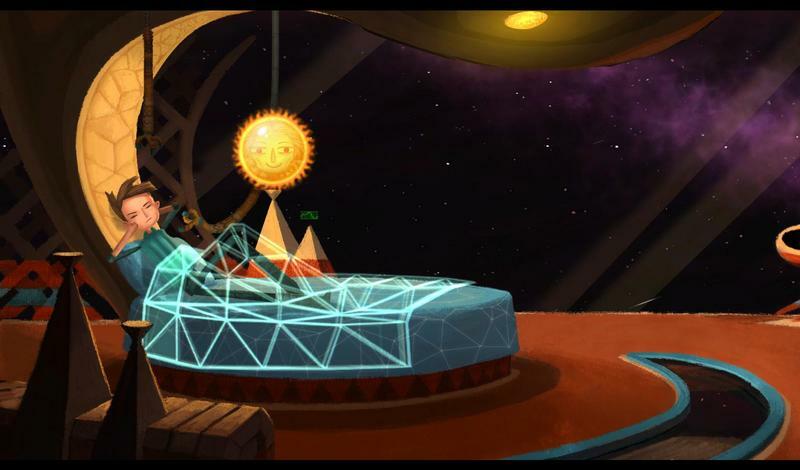 Double Fine deserves kudos for taking a tired model of play from a billion years ago and making it smooth and enjoyable once more. 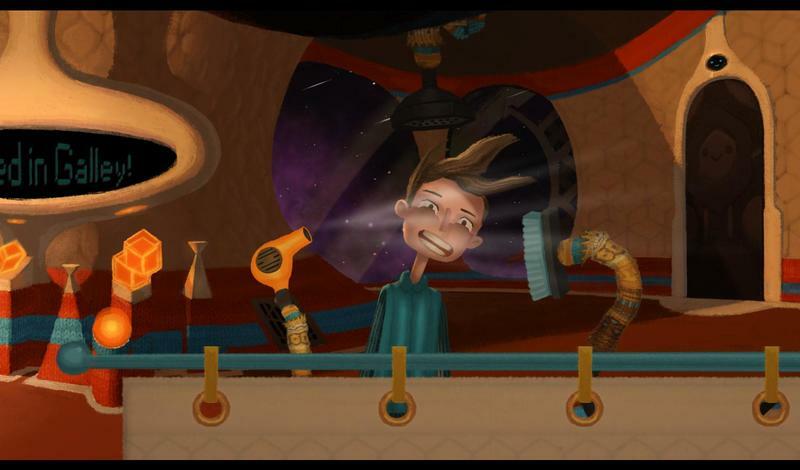 Broken Age isn't finished. What's available right now is the first four hours of an adventure game that still has at least four hours to go. With that said, these four hours were some of the best I've experienced in the adventure genre in a really long time. It's a true callback to classics like Day of the Tentacle and Secret of Monkey Island while presenting an upper-echelon air of production value and minimalist design. 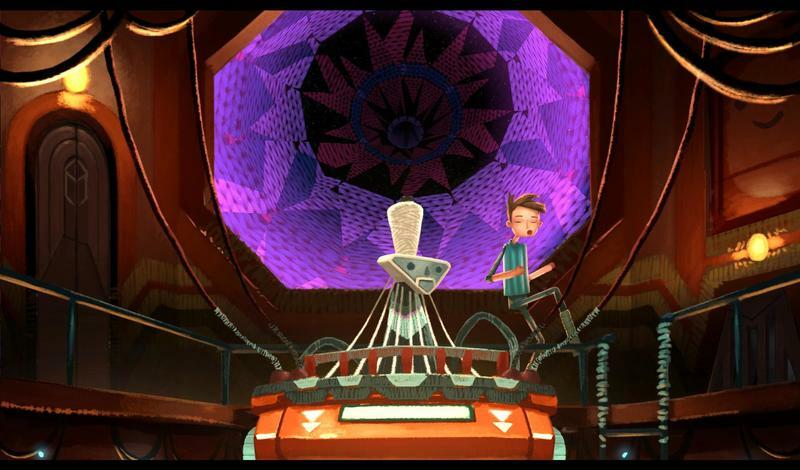 Broken Age is silky smooth, deliciously humorous, visually stunning and completely delightful. It's a testament to the types of games Kickstarter campaigns can produce. I know big publishers wouldn't touch this thing with a 10 foot pole, but I don't care. I'm glad I backed it, I'm glad the first half is here and I can't wait for Double Fine to wrap this up and conclude the tale within. As stated above, I backed this game prior to release. I played it to completion, at least what was available to complete, on PC before starting this review.